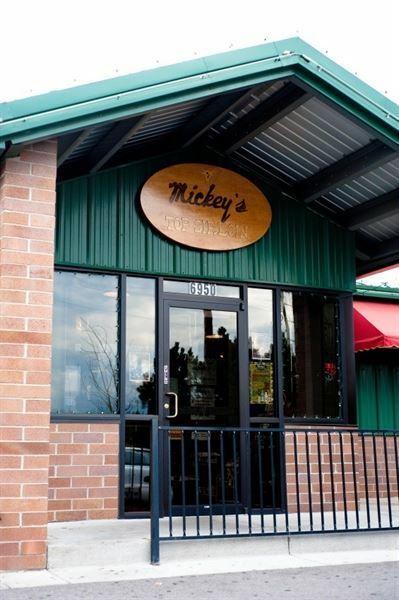 Mickey’s is a restaurant, bar and banquet facility with a regionally renowned bocce court located on a busy corner in north Denver area on Broadway and 70th Avenue. With over 50 years of commitment to our community, we strive making your dinning experience one you will remember. Our banquet facility can accommodate 80 guests indoors, and up to 150 with the attached, enlcosed patio. Party host has the option to do a set menu, or choose a buffet package. The banquet room has a TV with projection capabilities for meetings, slideshows, or for personal use. Attached are the menu options. We look forwarding to hosting your next event! Seats up to 80 guests - room will come fully dressed and ready for your next event.